Every year just after the new year begins I struggle with Spring Fever. It’s bad. I want sunshine and flowers in the worst way, but instead I get dark clouds and rain. So if I can’t have the real thing, I decided to share a picture that would at least put a smile on my face and I hope yours too. :) This is a picture I took at the Oregon Gardens last summer. Okay, enough wishing for Spring. Next month the final installment of my Wildflower B&B Romance series will release, and I thought it would be fun to do a recap of the series for you today. Please note the flowers on the covers. I love flowers! In Island Refuge we are introduced to Zoe—a five star chef running from her past. And Nick—the new owner of Wildflower B&B. Nick is also running from his past in his own way. He is a medical doctor who gave up his practice to start over as the B&B owner. Only one problem, he has no clue what he got himself into. In Island Dreams we continue on with Zoe and Nick’s story, but we meet a couple of new characters, Piper and Chase. 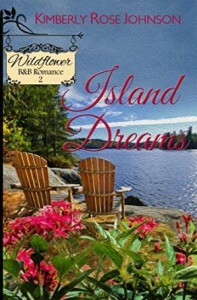 Piper comes to Wildflower to develop her family’s vast property, but developing the quiet island is the last thing Chase wants. He values the slow pace and tranquility of the island and believes that Piper’s development will change everything. Island Christmas brings the return of Rachel a strong secondary character we first met as a guest of the B&B in book one. It’s three years later and her life has made a huge change. She is now a sous chef and a mother. Software developer and web designer Chris has come to the island to invest in real estate. He’s looking for a slower pace, but what he finds is that and so much more. 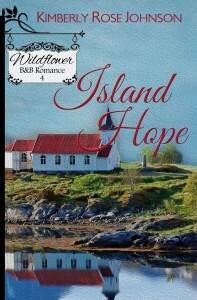 Island Hope wraps up the series. All the cast returns in this story and we meet a new character, electrician, Hope. She is on the island to re-wire a wing of the resort hotel that caught fire as well as do the wiring for phase two of Piper’s plan. We met Derrick in Island Christmas and he returns to co-star in this book. Derrick is a widower with a fifteen-year-old daughter. He is all about being the best dad he can be and giving his all as manager at the resort. Each member of the cast of the Wildflower B&B came to the island with a specific goal in mind. Some are there to heal, others are running from something and need a safe place to be, and a couple of them simply want a fresh start. But they all have one thing that connects them together—Wildflower B&B. Zoe and Nick make a huge impact on the cast of this this series. It’s fun to see these characters develop over the span of several years and discover new and fun things about them. I hope enjoyed this short walk down memory lane with me. I love this series and it’s difficult to move on but it’s time. What are your favorite memories from the Wildflower B&B Romance Series? I know I’m taking a risk with this question, but if you’ve read any of them please chime in. It’s difficult for me to come up with a favorite scene, but I think the most fun one for me to write was the pillow fight in Island Refuge. If you haven’t read any of them which cover do you like the best? I have a few openings on my street team–these people would be invited to my private FB group and expected to read and review my books. I generally have three or four books release a year. If you would like more information let me know in the comments and I’ll email you privately. Thanks! Oh, I will miss the series.I hve enjoyed each one of the books. I can’t thing of any special scene,will have to think about it. I would love to be on your street team. You may contact me at linderellar at yahoo dot com. Hi, Linda I’m so glad you enjoyed the series and I would love to have you on my street team. I will send you an email later today. :) Thank you! I’m going to miss this series too. I think these characters will always stay with me. It must be sad to see a series come to an end, Kimberly. Oh my, all of your covers are stunning. If I had to pick, I’d say, Island Refuge. I like the cover of Island Dreams. There is nothing like sitting in a chair watching the water – very peaceful. It’s hard enough to pick a favorite BOOK from this series, let alone a favorite scene! I’m trying to remember which couple had the tree crash down on them. That was intense! Hi, Beth G. LOL I get the comment about being to early to think straight. Brain is working fine now, but some mornings, I get on the computer long before I should. LOL. I’m glad you enjoyed the books. Did it throw you to skip Island Dreams? So much changed on the island from book one to book three, so I’m curious. 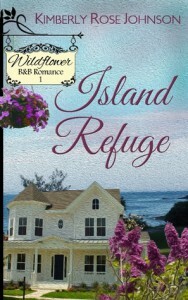 I love the home on the cover of Island Refuge! I haven’t read these but will definitely look for them to read. I love the island refuge picture. If looks peaceful, inviting and healing. I read constantly and would love to be on your street team if you still need help. My email is dlwise7 atgmaildotcom. Thank you for introducing me to your lovely books. Island Refuge has an especially pretty cover! Which cover is actually your favorite? 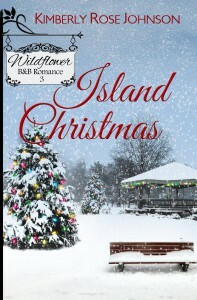 It’s a toss up between Island Refuge and Island Christmas, Linda H.
Thanks, kda61. I just sent you an email with the details. That chair makes me want to sit there and enjoy the view too. The Puget Sound is so pretty. My husband and I used to spend Sunday afternoons when he was a youth pastor at a park on the Sound. Some of the kids would hang out with us. I’ll never forget the times when we spotted whales just off the shoreline. It was so cool to be so close! I love Zoe’s inauspicious beginning at the B&B in book 1 and the Christmas tree part of book 3. =) I would be interested in being on your street team if you still need people. My e-mail is khend1988 at gmail. Looking forward to Island Hope! I really enjoyed Zoe’s rough start too. :) I sent you an email regarding the street team. Thanks! I have loved each book in this series! It is hard to pick a favorite scene. I will be sad to see these characters go. It’s like saying goodbye to friends. What will you be working on next? I agree, Sally. I have a new series set in Sunriver, Oregon that will begin to release in August or late July. I’m writing the Christmas book for that series right now. Kim, I’m already subscribed to your newsletter! As for your street team, I’d love to but I’m so swamped with other ones & have way to many books to review already, I just don’t feel I can give my all at this time! I made a goal this year to stop taking on so much as far as teams/book reviews & to read as many books on my physical TBR pile as I can. 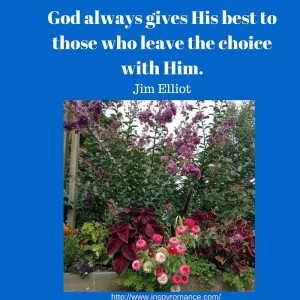 If there is ever a spot in the future, say at the end of the year or even into next, I’d love to at that time :-) Praying blessings on your writing! Thank you, Trixi! I really understand about too many books clamoring for your attention. There are so many on my kindle I’ve lost count.